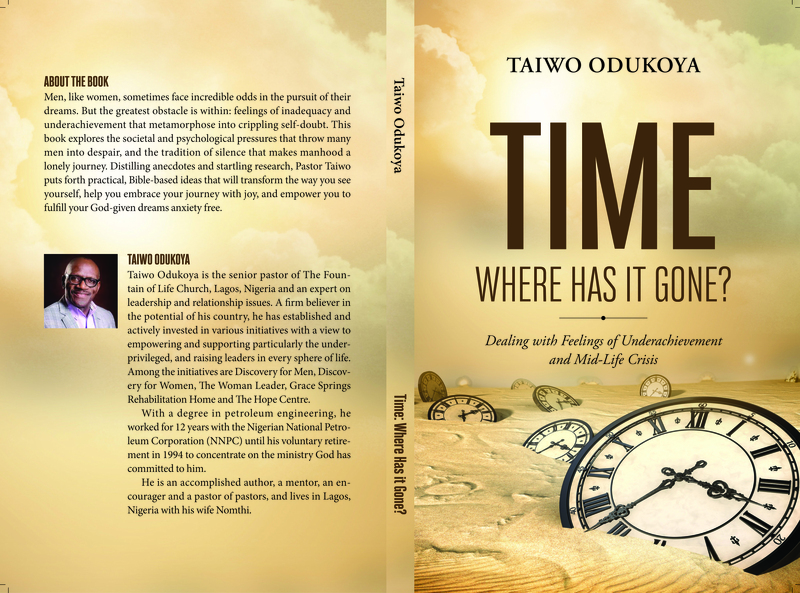 You are here: Home » Shop » Books » Pastor Taiwo » TIME, WHERE HAS IT GONE? This book explores the societal and psychological pressures that throw many men into despair, and the tradition of silence that makes manhood a lonely journey. Distilling anecdotes and startling research, Pastor Taiwo puts forth practical, Bible-based ideas that will transform the way you see yourself, help you embrace your journey with joy, and empower you to fulfill your God-given dreams anxiety free. Men like women, sometimes face incredible odds in the pursuit of their dreams. But the pretty obstacle is within: feeling of inadequacy and underachievement that metamorphose into crippling self-doubt.